Hello everyone! I hope you are having a wonderful day. I hope that you are all enjoying our 31 days of Halloween! I can't believe its almost over. I have had so much fun making all of my projects this month. 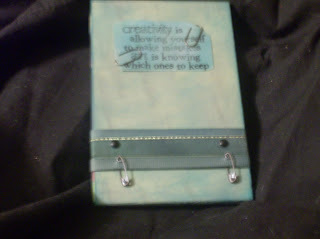 Today I decided to make an altered book. 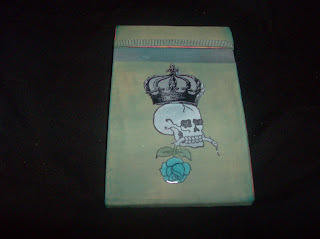 I used the skull from Bombshell Stamps. I also wanted to do more non=traditional colors so I used blues and greens. I love how it turned out! 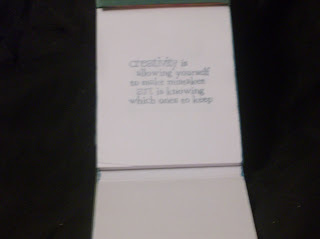 I got the little "matchbook" notebook from the $ spot at Michael's. 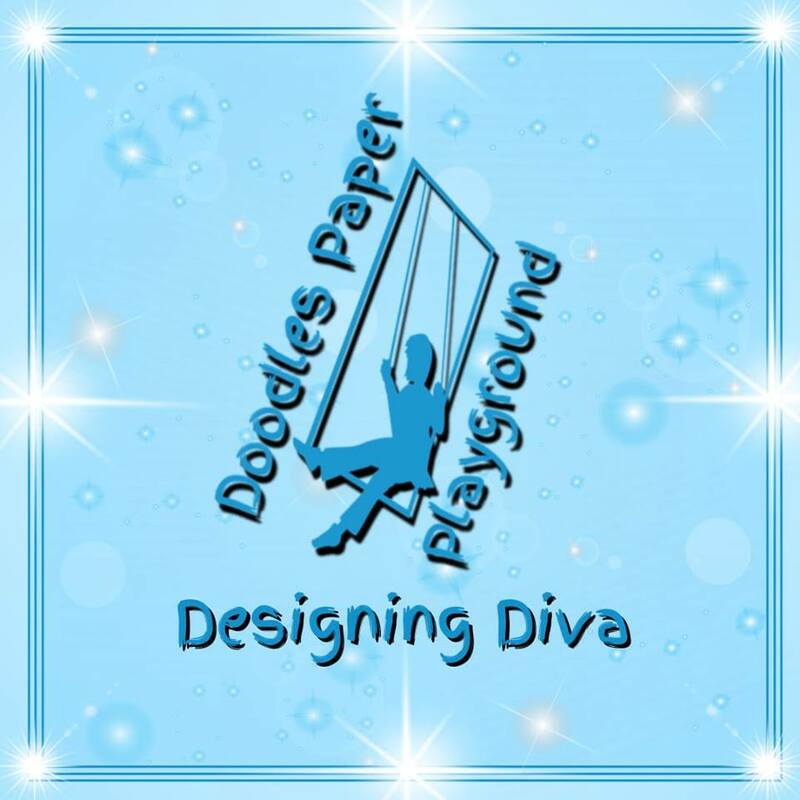 The paper started out as Stampin Up cardstock in River Rock, an older in color that I loved so bought lots of!!! Then I used slate and meadow colored alcohol ink to color it, then distressed it with weathered wood distress ink from Ranger products. I also used these same colors on all of the ribbon accents. They all started out as white! The mini paperclips and mini safty pins are also from ranger prodcuts. That is part of what I picked up at the scrapbooking convention this weekend! That was so much fun. 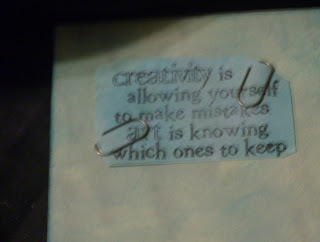 The phrase says "creativity is allowing yourself to make mistakes. art is knowing which ones to keep" I LOVE THAT! Now that you have seen my project for the day be sure to head on over to Smeared and Smudged to see what Terra has made for you today! Remember the more comments and participation on your part the more entries you get for blog candy!